The embers glowed as the blacksmith stoked the fire. One callused hand held a piece of metal to the anvil while the other clasped a hammer. Then he thrust the metal into the fire and pounded. Clang. Thud. Clang. In the fire, the metal was transformed. The duet of the fire and the hammer continued until the blacksmith’s work was finally complete — a masterpiece, a tool. Loss transforms us, reshaping and redefining who we are. Yet the refining process isn’t anything easy. Sometimes it creates terrible pain and discomfort as you place yourself in the divine Blacksmith’s hands. He pounds His hammer on your anger, then your fears. Another crushing blow upon your blaming and your tears. You’re relieved that it’s finished, but then you feel the heat. You try to escape, but your fight is futile. Finally you yield to the fire of surrender. The flames melt your pride, guilt, doubt, resentment, and unforgiveness. There’s nothing left to melt or pound, you think. You’re in the process of being transformed into a masterpiece in the divine Blacksmith’s hand. Our journey into the fire of surrender may happen all at once or at numerous times throughout the different seasons of grief. When we choose to surrender our grief, God can and will transform it. Our fear becomes faith. Our doubt becomes trust. Our hurt becomes hope. God can reshape us too. Rather than adopting the identity of widower or childless parent, we can let God help us forge a new identity as a comforter, advocate, supporter group leader, or hopelifter to help others. 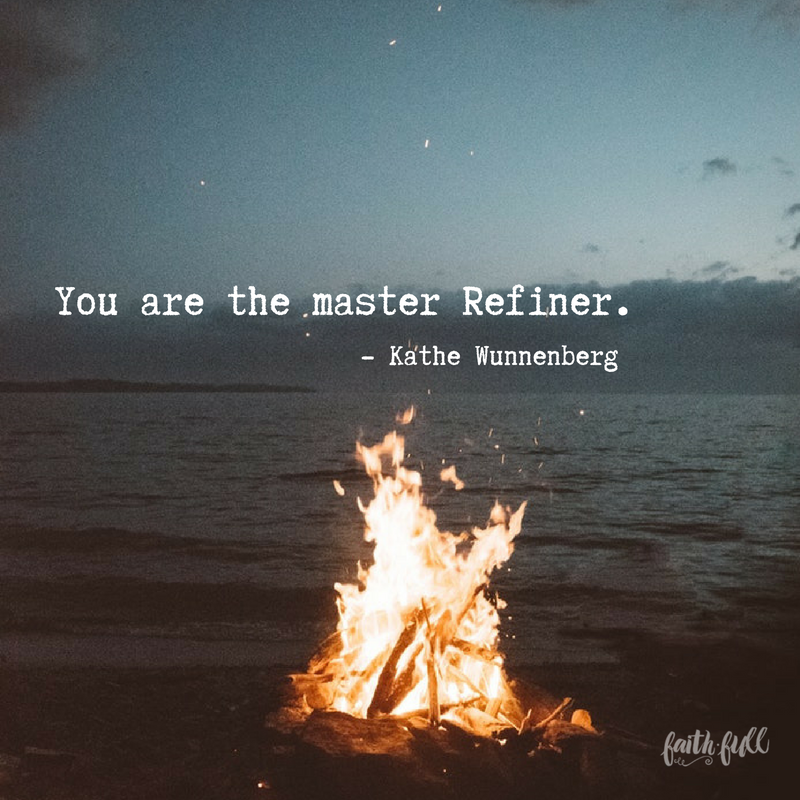 Should you decide to enter the fire of surrender and start the process of reshaping, remember that God is the master Refiner. He will transform you and your loss into a productive masterpiece. God, my loss has transformed me. I’m not who I used to be, but I’m confused about who I need to become. I’m afraid to change and move forward in my journey of grief. Is now the right time for me? I don’t want to resist Your transforming power. Help me yield my loss and my potential to You today. I will enter the fire of surrender and allow You to pound and refine me. You are the master Refiner who can remove all the impurities of my grief. Transform my loss and my being into a productive masterpiece that You can use. Amen. Excerpted with permission from Grieving the Loss of a Loved One by Kathe Wunnenberg, copyright Kathe Wunnenberg. Kathe Wunnenberg is the founder and president of Hopelifters Unlimited. She is a speaker, writer, leader, and connector known for her ability to offer creative solutions for real life problems. The author of Grieving the Loss of a Loved One and Grieving the Child I Never Knew, Kathe lives in Phoenix, Arizona, with her family.